With the arrival of warmer weather a few days ago our contractors were able to pour the concrete for the new walkway leading to the renovated bread store entrance. We had to add some length to the walk by means of adding some curvature so as not to make it too steep for wheel chairs according to building code. 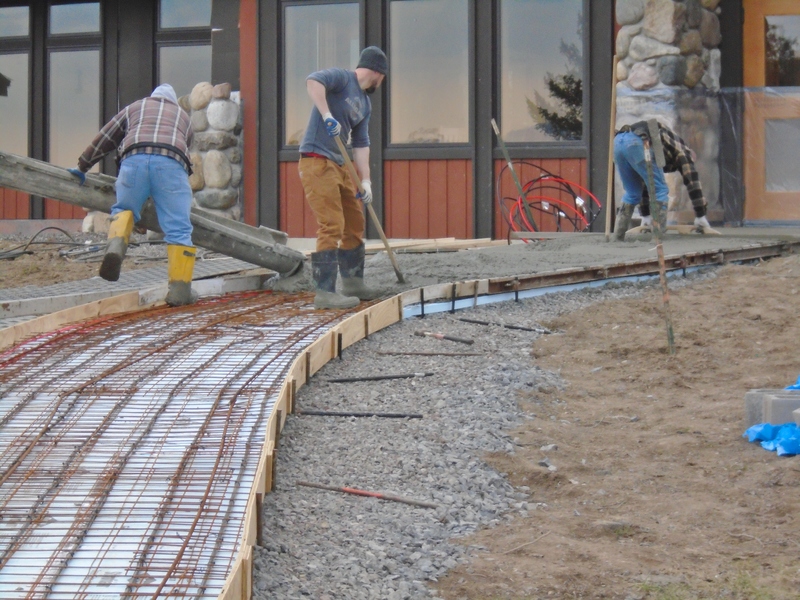 The addition has actually made the walkway rather attractive. 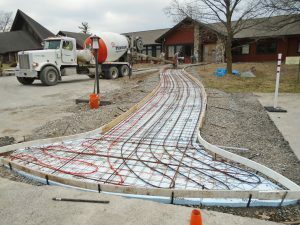 Here we see the foundation before the concrete pour showing the network of hot water heating pipes to help prevent buildup of snow and ice. 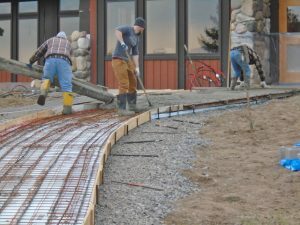 Even though the concrete will be cured enough for use in a few days the walk will not be opened until the landscape bordering it on both sides is raised a foot or so to prevent accidentally tripping off the edge. Till then the entrance to the reception room will be used even though the area is undergoing renovation. For some time now our specialty bakery has been experimenting with a variety of artisan breads which have been available in our on-site bread store. The latest news is that they are now offering a sale of three varieties that are popular in our on-site store, German Sunflower, Cranberry Sourdough, Sun-Dried Tomato Parmesan. For more information contact Monks’ Bread at monksbread@gmail.com. People who are closely united to the Lord are endowed with an instinctive ability so see things the way God does and to recognize those inspirations that are prompted by the Spirit and those that are not. They are like people who, having heard one syllable spoken on the phone by a person they know well, can distinguish his or her distinctive voice from every other voice in the world. People with this gift of wisdom may not be able to explain why they made the judgement they did, but they will usually be correct nevertheless. It is the Spirit that imparts such practical wisdom. As Jesus promised: But when he, the Spirit of truth, comes he will guide you into all truth (John16:13).